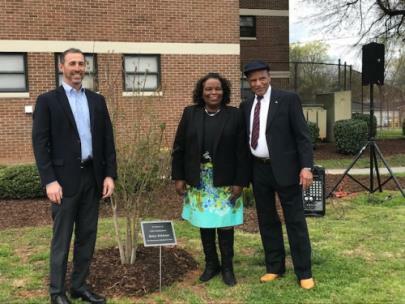 The Chattanooga Housing Authority hosted a Celebration of Life and a Tree Dedication for Commissioner Bettye Robinson Tuesday afternoon at the Mary Walker Towers. 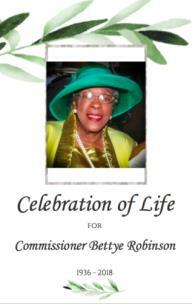 Ms. Robinson, 82, of Chattanooga, passed away on Nov. 9, 2018. She was employed by Erlanger Medical Center for 45 years and was on the Chattanooga Housing Authority Board of Commission for over 20 years. She was also a longtime resident of Mary Walker Towers. 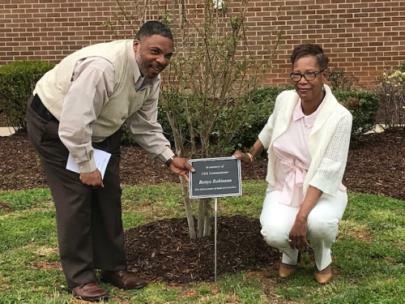 The Tree Dedication was well attended with CHA Executive Director Betsy McCright, Commissioner Varner and Commissioner McClendon all saying a few words before Chairman Levine presented the Robinson family with the plaque celebrating Bettye Robinson. Refreshments were served to those in attendance following the dedication.